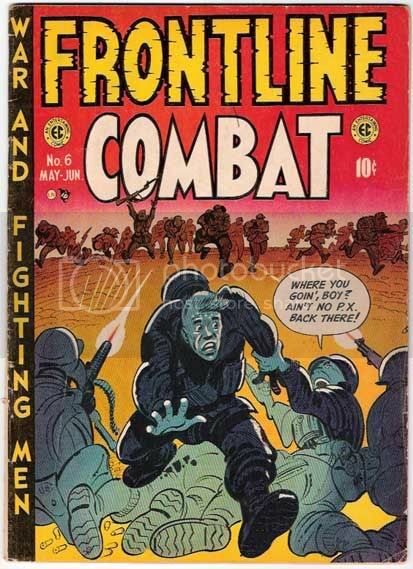 Next up, Frontline Combat #6. Looking back through these books, I'm surprised at the fairly decent paper quality. A slight bit of toning on the perimeter of the covers, but no brittleness and the inside pages are OW to cream at worst. The cover whites are still fairly white... little or no transfer stain. Not bad at all for books that were probably never stored properly until they were 20 or 25 years old. The Good, The Bad and The Restored.